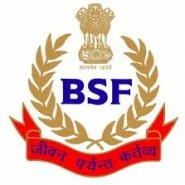 Border Security Force has invited applications invited from MALE Indian citizens for the post of Constable (Tradesmen). Vacancies are open to be filled in all states of India. State wise distribution of vacancies can be checked in below link.